Save the Date! Wings & Wheels has been rescheduled for September 20, 2014, 11:00 a.m.- 5:00 p.m. They will be contacting vendors, car show participants and the spectators that left their information with them first thing in the morning. If the roar of an engine (be it car, plane or motorcycle) gets your heart racing and if family fun, good food and music sound like the perfect way to spend a Saturday, then the 6th Annual Wings and Wheels Car and Air Show is the place to be. Set high atop Hot Springs, at Ingalls Air Field, Wings and Wheels is the largest car and air show in the Shenandoah Valley. This year’s event promises a variety of activities. In addition to the car show, there will be all day performances by the 540Boyz Stunt Motorcycle team, a return engagement by Team Fastrax Skydiving Team, crowd pleaser Tiger Airshows, Tony Royal L-29 Jet and Skipper Hale AT-6 Acrobatics, as well as carnival and interactive games. Car show participants will be eligible to win People’s Choice and Kid’s Choice Awards, as well as special raffle prizes throughout the day. “And we have added lots more activities for the kids,” explained Mark Nelson, Director of Parks and Recreation for the County of Bath as well as one of the four sponsoring partners. “We have invited K&T Entertainment to bring carnival and interactive games to the event. We will have a rock climbing wall, a mechanical bull, as well as a variety of carnival and arcade activities for the kids to enjoy. All for the single price of admission. ” Nelson concluded. The Theme this year is “A Salute to Those Who Serve,” explained Maggie Anderson, Director of Tourism and Economic Development. “Our team wanted to say thank you to all the police, fire and rescue and military personnel who serve and protect us every day. We are going to have special raffle prizes just for attendees who serve as police, fire and rescue or are in the military—they will receive the raffle ticket when they purchase their tickets to get into the event. Throughout the day we will be giving out prizes just for them.” Anderson concluded. “Every year the event grows,” noted Emily Plecker, Executive Director for the County of Bath Chamber of Commerce. “Our attendance last year was over 4,000 and we expect even more families to join us this year. There will be plenty of food, vendors and music. And, Big Al will be emceeing all day,” Plecker explained. The event is sponsored by the Bath County Airport Authority, the Office of Tourism, Parks and Recreation and the Chamber of Commerce. 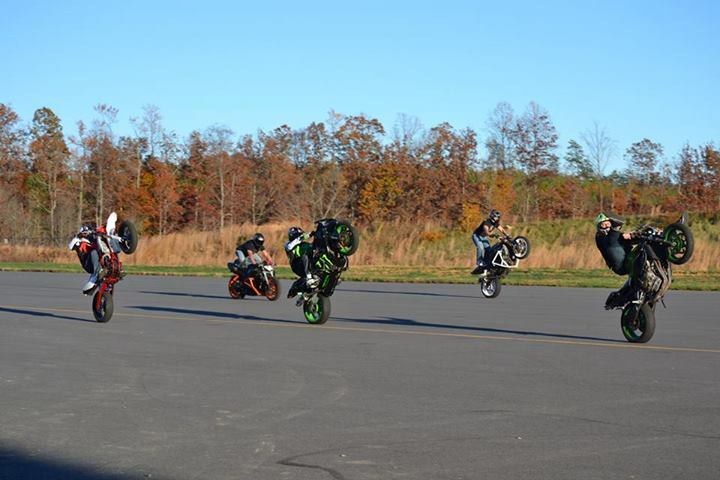 Categories: Family Travel, Shenandoah Valley, Virginia | Tags: 540Boyz Stunt Motorcycle team, A Salute to Those Who Serve, Air Show, Car Show, County of Bath, Family Travel, Hot Springs, Ingalls Air Field, Kids, Mid Atlantic Region, Mid Atlantic States, Mid Atlantic Travel, Motorcycle Show, Shenandoah Valley, Skipper Hale AT-6 Acrobatics, Team Fastrax Skydiving Team, Tiger Airshows, Tony Royal L-29 Jet, Virginia, Wings and Wheels, Wings and Wheels Rescheduled | Permalink. 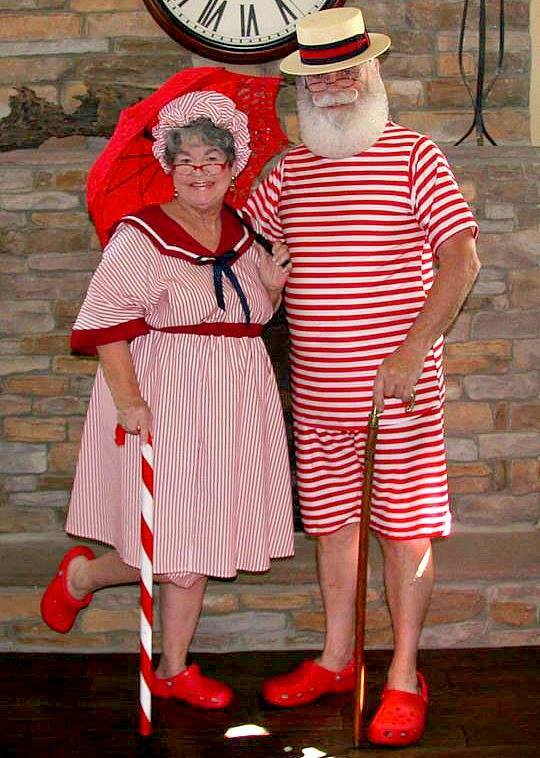 Ever wonder where Santa and the Mrs. spend their summer vacation? On Saturday, July 26, 2014, they’ll be stopping in Old Town to celebrate Christmas in July on Union Street in Alexandria, VA at the Union Street Public House and The Christmas Attic. Santa and Mrs. Claus are coming for a summer visit. There’ll be storytelling, cookies and milk, and a little of Santa’s special magic. But we expect nothing less from Santa. Everyone, young and old can tell Santa what’s on their list tomorrow, and enjoy face-painting and more! Why should the kids have all the fun? Special-priced seasonal brews and Christmas Punch for the adults ALL day. 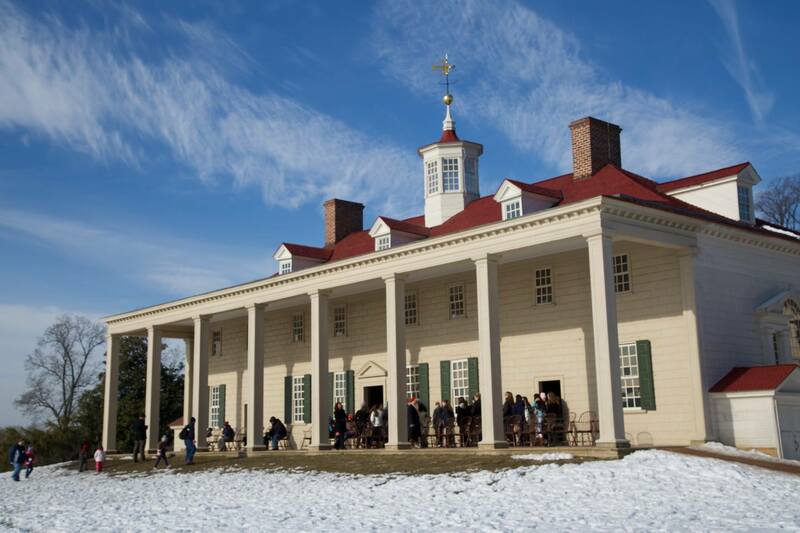 Categories: Children's Travel, Family Travel, Free Admission, Virginia | Tags: Christmas in July, Christmas in July in Alexandria, Christmas in July in VA, Christmas in July on Union Street, Family Travel, Kids, Mid Atlantic Region, Mid Atlantic States, Mid Atlantic Travel, Virginia | Permalink. Cherrystone campground is shown Thursday morning in this photo posted on Twitter by Jordan Bertok. At 8:38 am, the National Weather Service sent out a tornado warning for the area. 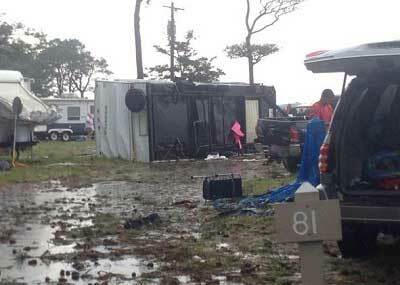 The twister hit the Cherrystone Campground, near Cape Charles, shortly before 9:00 am. About 1,300 people were at the campground, readying for a summer day of swimming pools, mini-golf, pier fishing and other activities at the 300-acre resort in rural Northampton County. Peter Glagola, spokesman for Riverside Shore Memorial Hospital, said the hospital was treating more than two dozen patients as of Thursday afternoon, most of which were in fair condition with injuries ranging from cuts to broken bones. Glagola said more patients were expected to be brought to the hospital, which is about 30 minutes north of the campground. One patient in critical condition was flown to VCU Medical Center in Richmond, he said. Hospitals in Virginia Beach and Norfolk had been preparing for mass casualties but had received just three patients, one of which was taken to a nearby children’s hospital, said Sentara Healthcare spokesman Dale Gauding. Coast Guard spokesman Petty Officer 3rd Class David Weydert said crews also were responding to reports of boats overturned in the water in the area. Boaters pulled at least three people from the water, he said. The Northampton County Board of Supervisors declared a local state of emergency later Thursday morning, shutting down regular county government functions to concentrate on storm recovery, said Janice Williams, assistant to the county administrator. With about 12,000 population, it is among the smallest of Virginia’s 93 counties. Categories: Virginia | Tags: CAmpground Tornado, Cape Charles Tornado, Cherrystone Campground Tornado, Cherrystone Family Camping & RV Resort, Chesapeake Bay, Family Travel, Mid Atlantic Region, Mid Atlantic States, Mid Atlantic Travel, North Hampton County, North Hampton County Tornado, Northampton County Board of Supervisors declared a local state of emergency, Virginia, Virginia Tornado | Permalink. Lexington, VA is in the heart of some of the most beautiful country in the US. Now, the winners of the fabulous, all-inclusive getaway contest sponsored by Blue Ridge Outdoors Magazine will have the chance to enjoy the region’s wonderful outdoor activities. 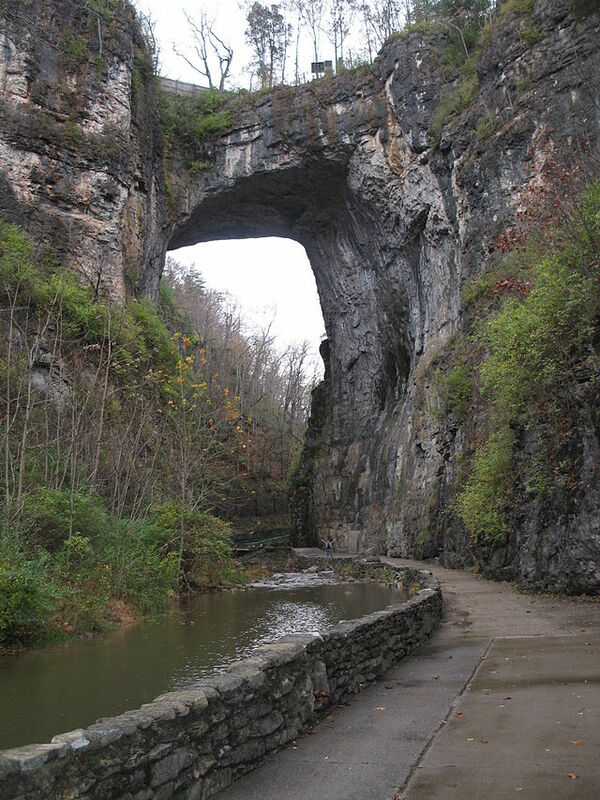 First you’ll enjoy seeing the Natural Bridge; one of Virginia’s most cherished natural wonders. The prize package includes TWIN RIVER OUTFITTERS River Paddle or Tubing Adventure for Two. TRO provides their guests with fun and safe river trips that range from lazy river to whitewater paddling experiences with true mountain views. They are the oldest and most experienced outfitter operating on the Upper James River and have been safely running paddle trips since 1978. STONE BRIDGE EQUESTRIAN CENTER , a premier multi-discipline riding facility located in the Shenandoah Valley of Virginia, will provide a Horseback Riding Experience for Two. Winners will also enjoy two tickets to the NATURAL BRIDGE CAVERNS , and descend more than 34 stories into the Earth to view magnificent natural display. While underground, tourists can explore cavern structures such as the Colossal Dome room. This room is an enormous dome shaped natural feature that was created over thousands of years. Walking from the dome room, visitors can also see other places like Mirror Lake, the Well Room and the stalactites and stalagmites that grow from the Canyon Room. For more information and entry, check out BLUE RIDGE OUTDOORS . 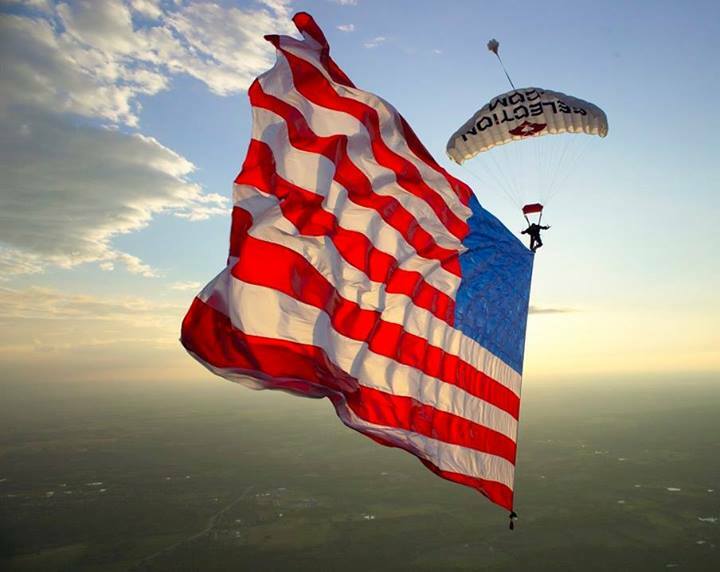 Categories: Free Vacation Contest, Outdoor Adventures, Virginia | Tags: Adventure Travel, Blue Ridge Mountain Travel Contest, Blue Ridge Outdoors Contest, Lexington, Lexington Travel Contest, Mid Atlantic Region, Mid Atlantic States, Mid Atlantic Travel, Natural Bridge, Natural Bridge Caverns, Outdoor Adventures, Sports, Stone Bridge Equestrian Center, Travel Contest, Twin River Outfitters, Virginia, Virginia Travel Contest | Permalink. Novels about baseball aren’t new. Novels about the Civil War aren’t new. But in Nostalgia, Dennis McFarland blends the two themes and creates a unique coming of age story. Injured, lost and left-behind, 19-year old Summerfield Hayes stumbles through deadly terrain in the aftermath of the bloody war of attrition at the Battle of the Wilderness. 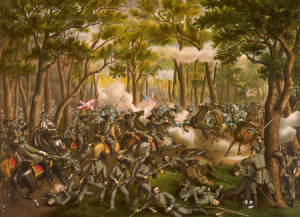 The dense underbrush of Spotsylvania County, VA, proved difficult for both the North and South to navigate, and the battle was fought to a draw. 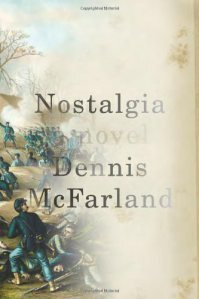 McFarland’s evocative, empathetic and lyrical prose skillfully depicts the beauty and horror of America’s mid-1800 history. Categories: Virginia | Tags: 19th Century Baseball, Baseball Novels, Civil War & Baseball, Destinations for Readers, Family Travel, Kids, Mid Atlantic, Mid Atlantic Region, Mid Atlantic States, Mid Atlantic Travel, Nostalgia by Dennis McFarland, Novel Destination, Novels for Vacation, Reading Roadtrips, Sports, The Battle of the Wildernes, Virginia | Permalink. Entries must be received through the http://www.visitroanokeva.com contest sign-up page by 12:00 Midnight EST on August 24, 2014. Virginia is the home of some of my favorite weekend destinations, and now they’ve added another facet to their sparkling attractions. Roanoke Valley in Virginia’s scenic Blue Ridge Mountains has more restaurants per capita than any other destination in Virginia, which makes it a delicious culinary scene. To celebrate their unique food culture, Visit Roanoke VA has created a Fun for Foodies Sweepstakes. One lucky winner will be selected to win a trip for two that includes some amazing culinary experiences in the heart of the Blue Ridge Mountains. The prize package includes a two-night stay for two guests at the Comfort Inn Airport – Roanoke. The hotel is conveniently located near the airport and great shopping at Valley View Mall, and also offers easy access to many local attractions in the area. You’ll also be able to take advantage of the hotel’s outdoor pool, complimentary deluxe breakfast and many more amenities during your stay. The winner will have the opportunity to dine at The Roanoker Restaurant. Recognized by Southern Living and Today on NBC as being home to some of the best biscuits in the country, The Roanoker Restaurant has established itself as an icon of southern cooking and hospitality. The package also features a gift certificate for dinner at Local Roots, a Farm-to-Table Restaurant. With its charming atmosphere in Roanoke’s quaint Grandin Village, Local Roots prepares fabulous food using local ingredients to create a first-class dining experience that celebrates the spirit of the region. The winner will even receive two passes to take part in a food tour with Roanoke Food Tours. A historic downtown food tour is a wonderful way to enjoy amazing food while also learning about the rich history and culture of Roanoke’s Downtown. You could also sample some fantastic cuisine on the new Sunday Brunch Tour, and don’t be surprised if you make a few new friends along the way. For when you’re not eating great food, you’ll also receive two VIP Passes, which include free admission to many popular local attractions, including the Mill Mountain Zoo, Virginia Museum of Transportation and wine tasting at Chateau Morrisette. The menu is full of incredible experiences in Virginia’s Blue Ridge. Sign up now for your chance to win! Categories: Contests, Virginia | Tags: Blue Ridge Mountain Travel Contest, Blue Ridge Mountains, Foodia Travel, Mid Atlantic Region, Mid Atlantic States, Mid Atlantic Travel, Roanoke Food Tours, Roanoke Travel Contest, Virginia, Virginia Food Tours, Virginia Travel, Virginia Travel Contest | Permalink.